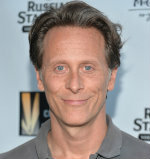 Thomas Jefferson is coming to SLEEPY HOLLOW, and he’ll be played by former WINGS star Steven Weber, a rep for the show has confirmed. TVLine was first to report Weber’s casting. Are you excited to see Weber on SLEEPY HOLLOW? SLEEPY HOLLOW returns Monday, January 5th at 9 PM on Fox.